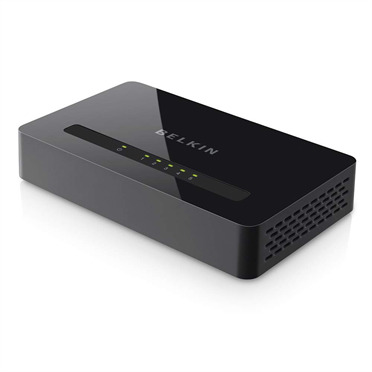 The Belkin 5-Port Gigabit Switch allows you to easily upgrade your network to achieve gigabit transfer speeds. 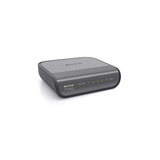 Backward-compatible with your existing 10/100 network, this Switch simply plugs in for instant high performance. 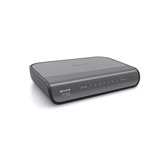 It provides an affordable way for your servers and workstations to transfer large video, audio, and graphic files throughout your network - at gigabit speeds. The switch operates without a fan which makes them absolutely noiseless. Every port of the switch automatically senses the right speed and full/half duplex mode, and Auto Uplink technology automatically adjusts for straight-through or crossover cables. A constant data-stream is guaranteed by flow-control according to the IEEE802.3x standard. Belkin also took a closer look into energy consumption. By default, each port is only powered to a level that enables it to recognize when a device is plugged into it. Only then is the port provided with more energy. While increasing the power level, Belkins switches also check the length of the cables and adapt it accordingly. As soon as the device on the other end is shut down, the port also goes back to standby mode. This built-in innovative and intelligent power-saving functionality can save up to 40% in power consumption without sacrificing performance and functionality.